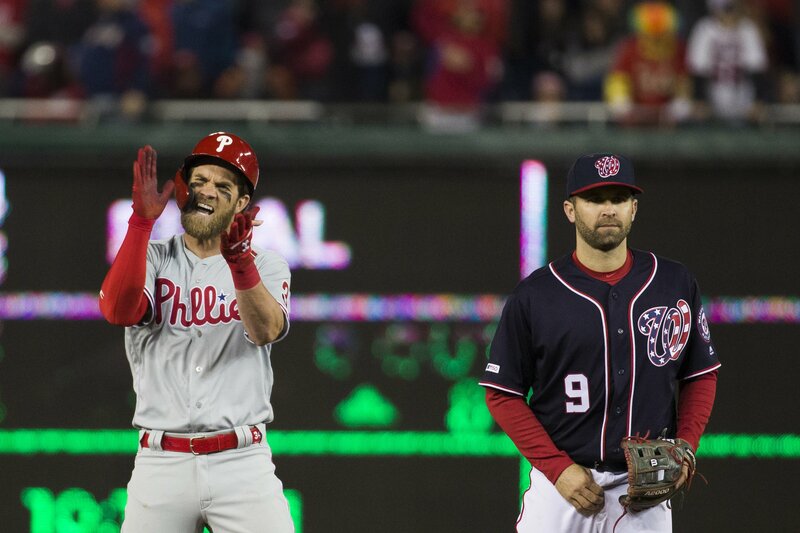 WASHINGTON — Showered by raindrops and jeers for much of the game, Bryce Harper put a bat-flipping, celebratory finish on his memorable return to Washington. Nationals: OF/INF Howie Kendrick (hamstring strain) was in the clubhouse Tuesday and appears close to being activated from the injured list. “He’s going to work out with us a couple days and we’ll see where he’s at,” Martinez said, adding that a rehabilitative stint might not be necessary. … OF Michael A. Taylor (knee/hip) will start a rehab assignment Friday with Double-A Harrisburg.